This one is a favourite for it's hard-to-pin-down scent. 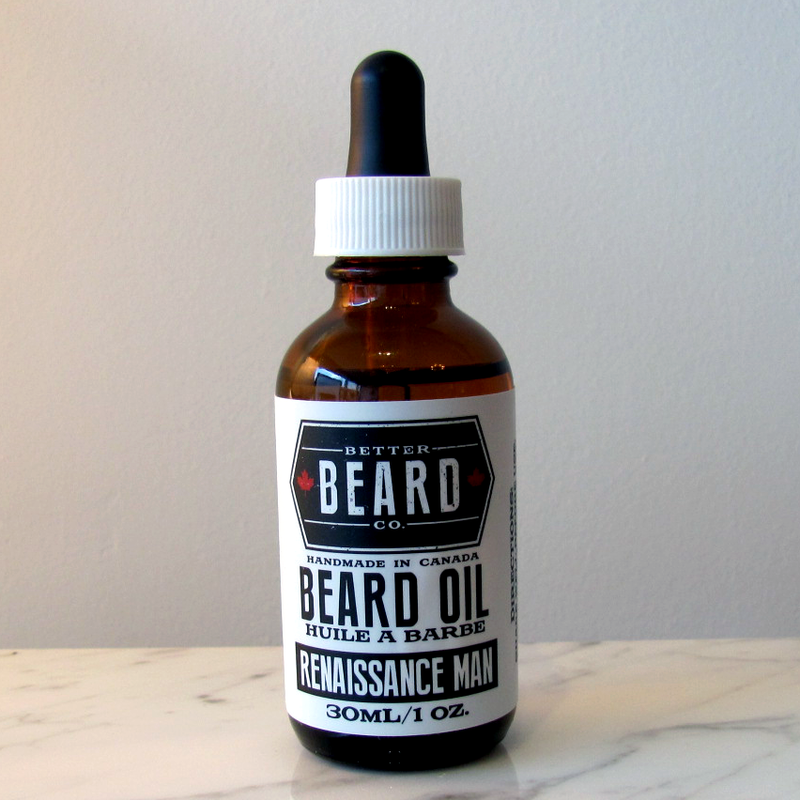 Renaissance Man is a complex but not overbearing blend, majority of people who smell it adore it. A properly balanced mix, the vanilla and peppermint picks up some grounding with cypress and patchouli adding some heaviness while the frankincense blocks the citrus and peppermint from over running the scent. This blend is warm and clean all the same time. 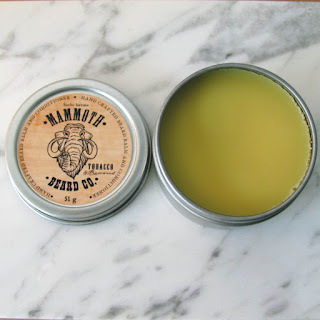 The balm is fantastic for those trying to softly train a moustache or feel their beard is getting a bit too fuzzy and could use some weight to keep it calm and collected. 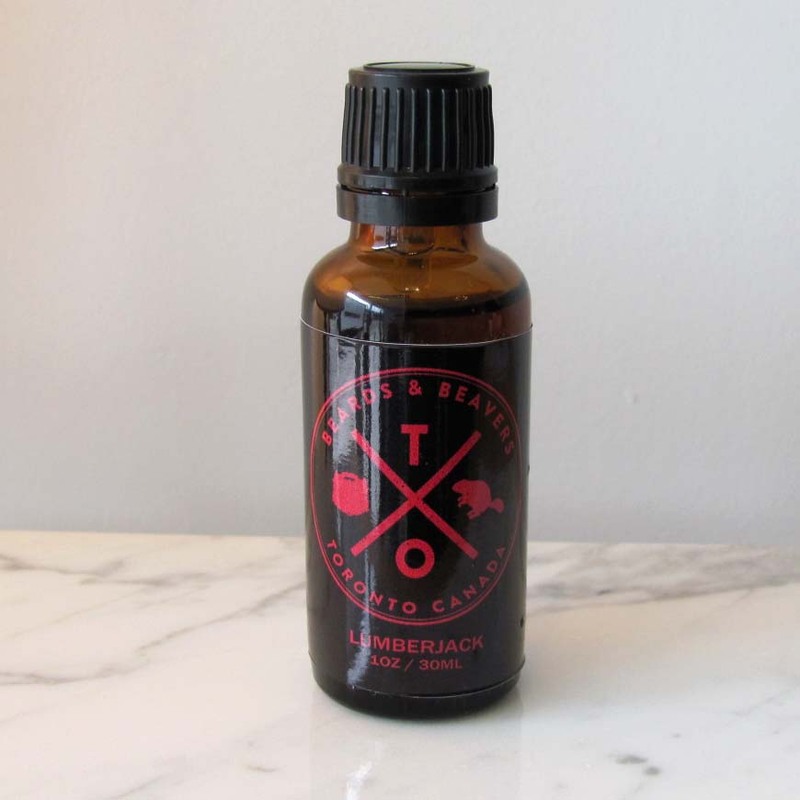 This powerhouse blend is a spicy scent with a woodsy clove. There is a lime note that can be harder to detect but really rounds out the blend with a nice bounce. Lime is also great for eliminating food smell. This is a tester's favourite in beard balm, the ideal blend of oil to butters and beeswax it adds weight for styling but also adequately nourishes. A little really goes a long way with this one! Unscented is a safe bet, obviously, but Tobacco and Rosewood is a beautiful soft scent that really responds to the wearer's personal chemistry. In the container it's smells like a beautiful summer day with a glass of homemade iced tea. Made with Big Rock Brewery's Ale this wash helps seal the cuticles of the hair, leaving a wonderful finish to the beard hair while not being too stripping. Cleansing a critical step when it comes to beard care, as over-stripping cleansers can lead to drier brittle hair, beard dandruff and using an excess of oils to counter the over stripping of the natural occurring oils. The Cedarwood essential oil blend leaves the bar smelling more like a classy gentleman than a shirt found on the bar's floor. Miss camping in the woods and coming home with all your clothes smelling like a firepit? You want this oil. The birch tar essential oil is an all natural source of that beautiful smokey scent. For the creative type it also blends really well with an array of balms we carry. If your guy is a big BBQ fan, this oil and Better Beard Co.'s Anarchy scent are the perfect duo, it's all spice essential oil notes can give the impression of a steak sauce scent. If you want to give him all the options in the shop we also have gift certificates for products or services, like our Beard Conditioning Service (for beards 3.5" and shorter). 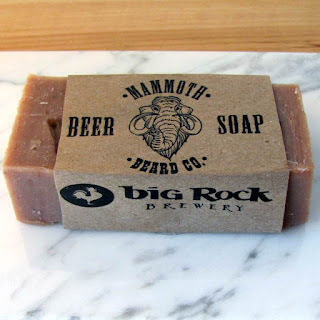 We'll wash the beard, whip up a custom conditioning beard mask, treat any pesky ingrowns or spots under the beard, give a shoulder and neck massage and finish with an oil or butter with a comb out! Which subject(s) do you want to hear about? "Dehydrated? But I Drink Tons of Water!" So.. How Should I Take Care of My Beard? The Third Post of Beardness! Top 10 Men's Spa and Salon Treatment in Toronto! 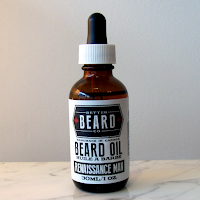 We're Now Carrying Better Beard Company!